Split your class into two teams. Line them up in front of any interactive whiteboard (can also be played on iPads). Once you press play, it’s a race to see which team gets the most ghost answers right! And go! The preview is limited to 20 sec of the full game and can also be viewed here. 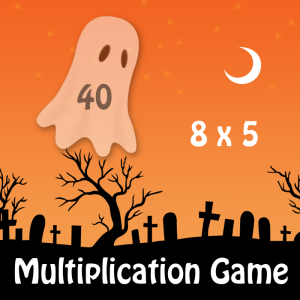 Though this powerpoint smartboard multiplication game is not free, it is well worth every cent. It tells a story of a tired king who devises an experiment to get his kingdom of monsters to get along with each other. 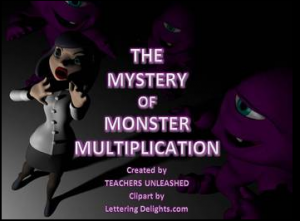 Your students follow the story along and in the process learn how to multiply 2-digit numbers. What a great way to learn!